A masked man, identified by officials as Kylo Ren, was apprehended last intergalactic Tuesday rampaging through a local arts and star crafts store. Details were scarce amidst the culprit’s incoherent ramblings about an absentee dad and a holographic sugar daddy. 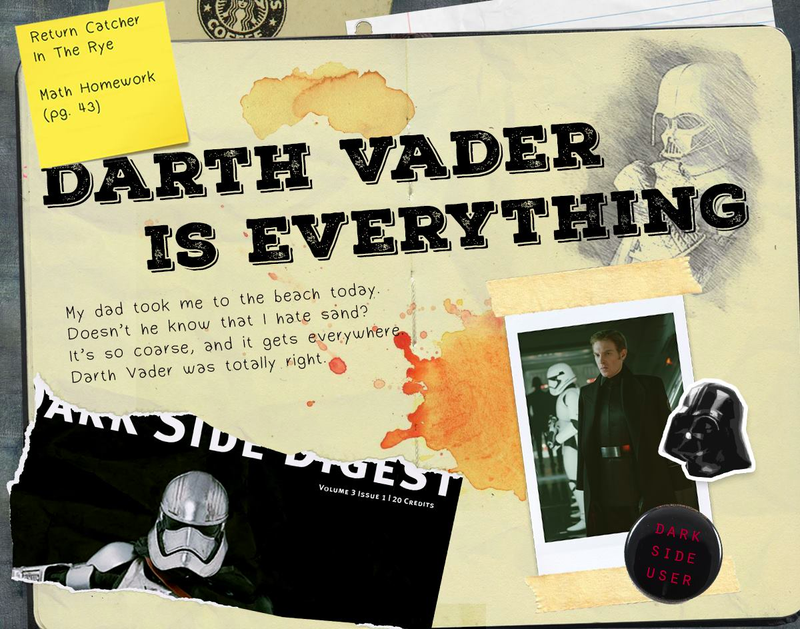 Found in his possession were a number of journals full of self-obsessed whining, hatred, and pining for the deceased Lord of the Sith, Darth Vader. Kylo Ren is currently out on bail after agreeing to bouts of teen counseling sessions.